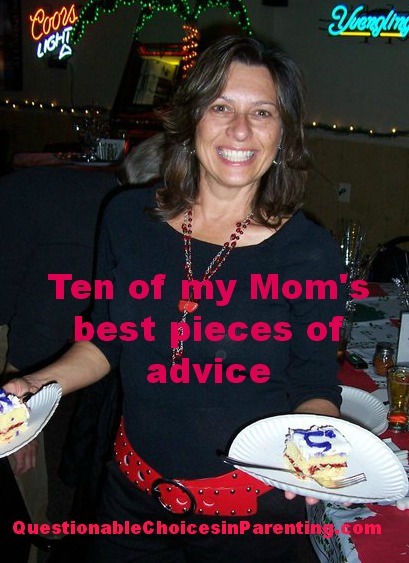 In Honor of Mother’s Day: Ten of My Mom’s Best Pieces of Advice! “If you stay with that boy, you will end up barefoot and pregnant in a trailer park.” Until my husband, I had HORRIBLE taste in men. Good thing Kim had zero problems telling it like it is. And she was right. That guy was a one way ticket to co-starting on Honey Boo Boo. Get a cleaning lady and never let her go. Apparently poor housekeeping skills are genetic, but more importantly, she was realistic. There is no way to do everything. So let the house go and throw money at the problem. Even if we had no budge in our budget, I wouldn’t give up my cleaning lady. Make a HUGE deal out of your kids’ birthdays and every single holiday. If your Mamma doesn’t cover your room in balloons, let you eat cupcakes for breakfast, and throw amazeballs parties for your birthday, who will? Anyone can do anything for a year. My first teaching job was reminiscent of Michelle Pfeiffer in Dangerous Minds. Remember that Coolio video? I was fresh out of school and the kids were climbing the walls after an endless line of substitute teachers. I cried every day. I cried all the way to work, sucked it up to make it through the day, and I cried all the way home. My mantra to survive was “Anyone can do anything for a year.” It got better and I learned to love my job, that school, and my students. When she’s right, she’s right! 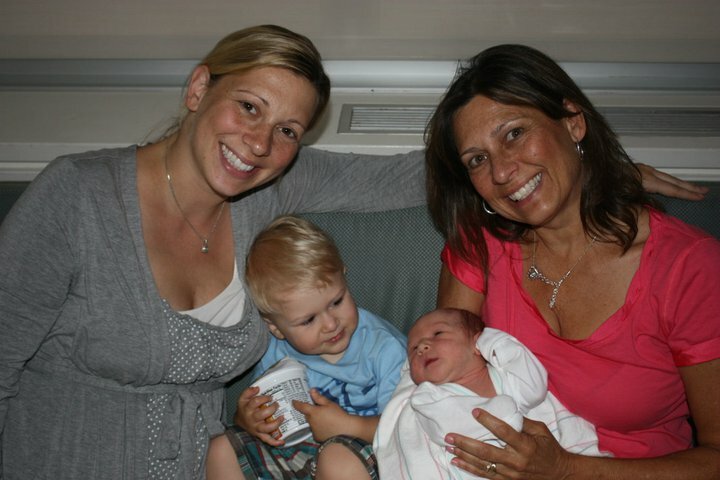 Always have your own “thing.” Being a mom consumes every part of you and we can forget who we are. Check your profile pic on Facebook. Is it you or your kids? How often do you do something for yourself? Throughout the years my mom had a lot of hobbies, some successful some not. But she always had a “thing,” something that was all her own. And I don’t mean the secret stash of candy she thought was well hidden above the fridge. Sucker. Classy women don’t drink out of beer bottles. Like I said, I don’t always listen to her advice and I never claimed to be classy. This tidbit is coming from a lady that gets sloshed after one margarita. Never wait for your husband to do stuff for you. Want a picture hung on the wall? Grab the hammer and do it yourself! Want to paint the room? Grab a brush and get started! It drove my mom insane that her mother would wait and wait to have things done by my grandfather. It wasn’t happening in her house and it sure as hell isn’t happening here. Powertools, ladies. Embrace them. Take care of your girls. Kids can do a real number on your ta-tas: underwire, padding, push-up, Victoria Secret. Live it, love it, use it. Keep her under wraps most days, but never be afraid to unleash Mamma Bear. Hey, kid too old to be on the playground, I’m looking at you. If you push my kid again, you and your mom (the one texting and ignoring you) are going to get an earful. No one and I mean NO ONE will ever love you like your Mom! Happy Mother’s Day! Now go do something nice for your mom. You are the reason she has stretch marks and pees herself when she runs up the steps. Well this made me cry, so did the pictures of the kids! BABIES!!!!!!!! I’m going to go hang picture frames now. Buh bye. So tiny, right? I can’t believe it! !